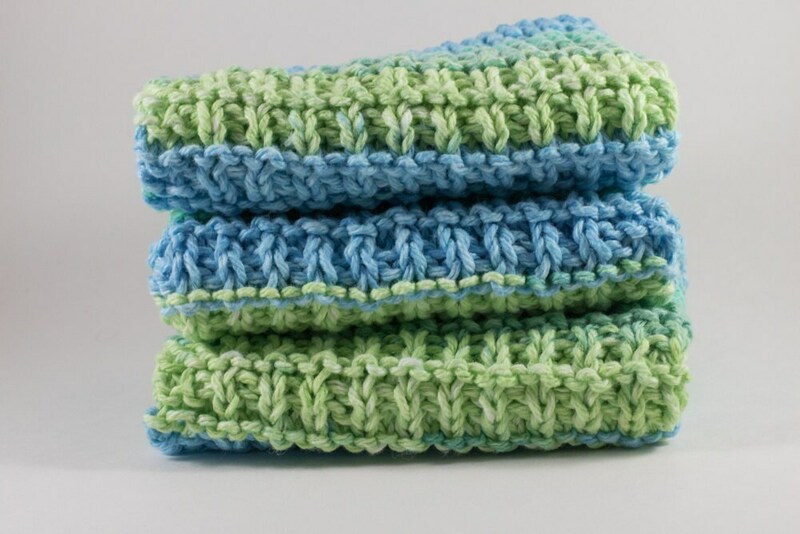 The set includes 3 blue/green mix colored dishcloths. 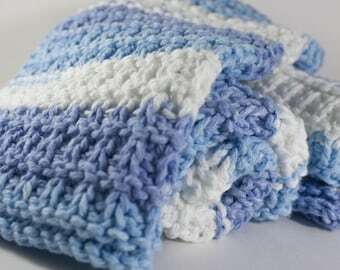 I absolutely love the beautiful the purple and white wash cloths I purchased from you. I purchased a Victorian white box that fits perfectly on the top of my tank in the bathroom. I have a number of small bathroom items to put in this box along with the washcloths. Thanks again for doing such a great job! !